Are you planning to hire new employees for your photography organization or business? Then the first thing that you need to focus on to attract potential candidates is an effective and clear photography job description. A job description is the first thing that a candidate would read in detail to apply for the relevant position in which he/she have acquired skills. 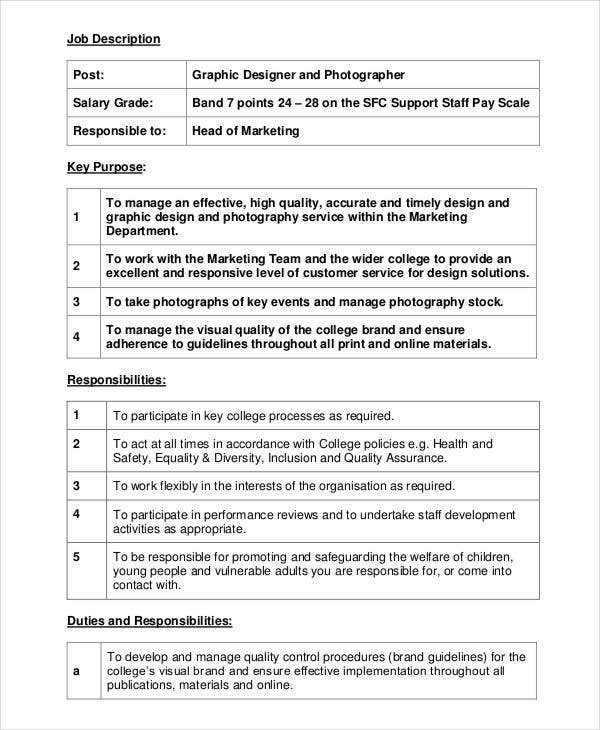 A job description samples need to be precise, clear, and capable of demonstrating the photograph’s job responsibilities and qualification clearly and should be able to attract skilled and capable candidates. 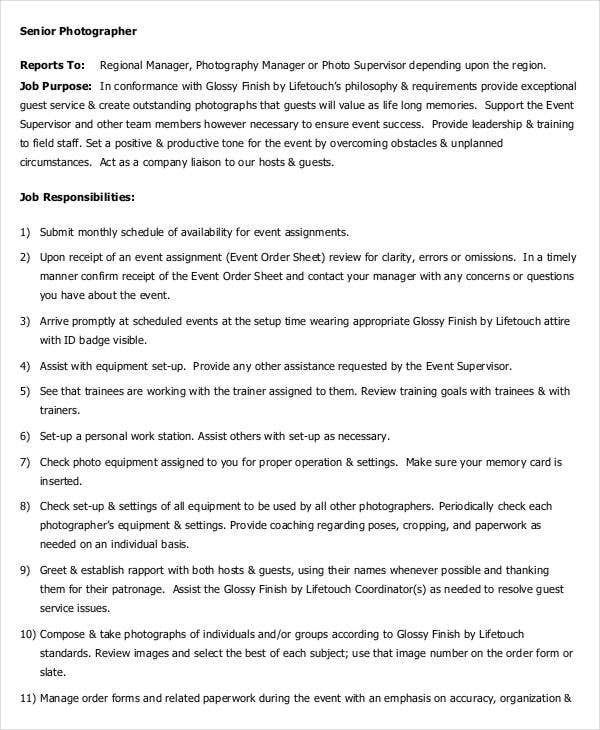 Below are a few photography job description templates that you can take ideas from. 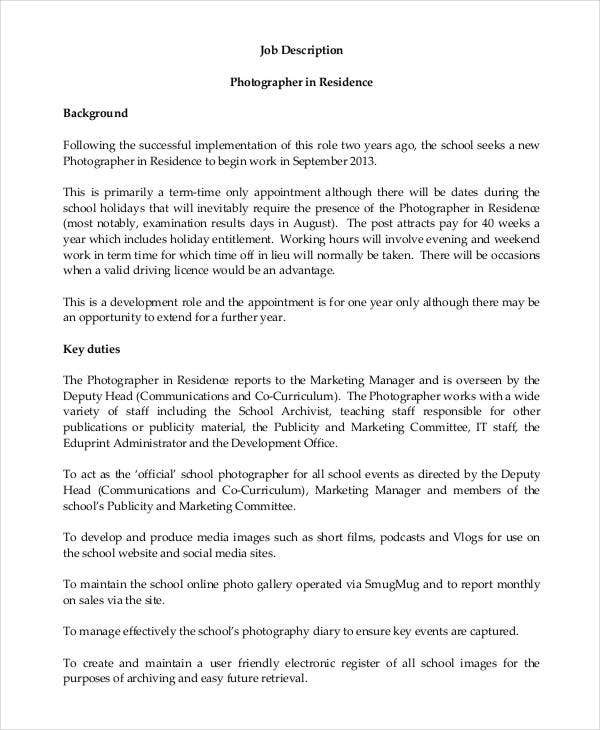 Do you have a school photographer position vacant? 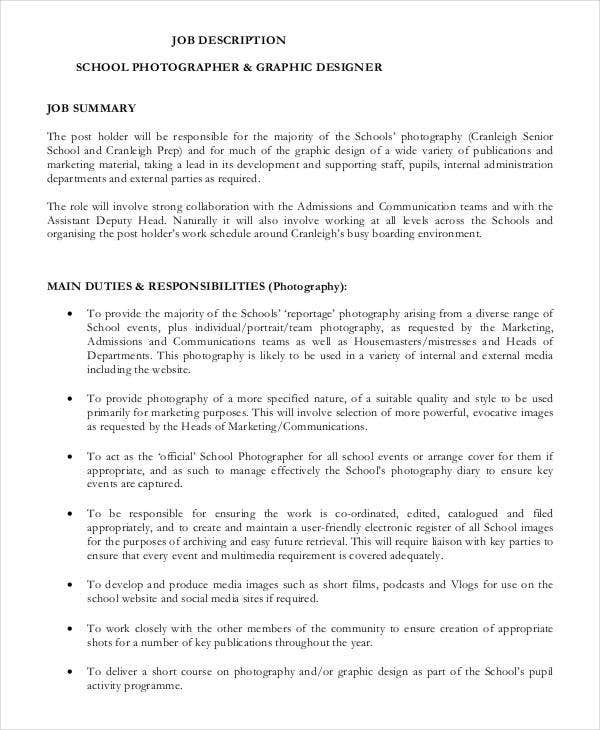 Find a potential candidate for this post by utilizing this school photographer job description sample. It is available for instant download and can be edited as per your references. You can also see Copywriter Job Description. Find suitable candidates for your vacant fashion photographer position by writing an appealing and professional job description. Use this job description example and create an eye-catchy description. Download it now! 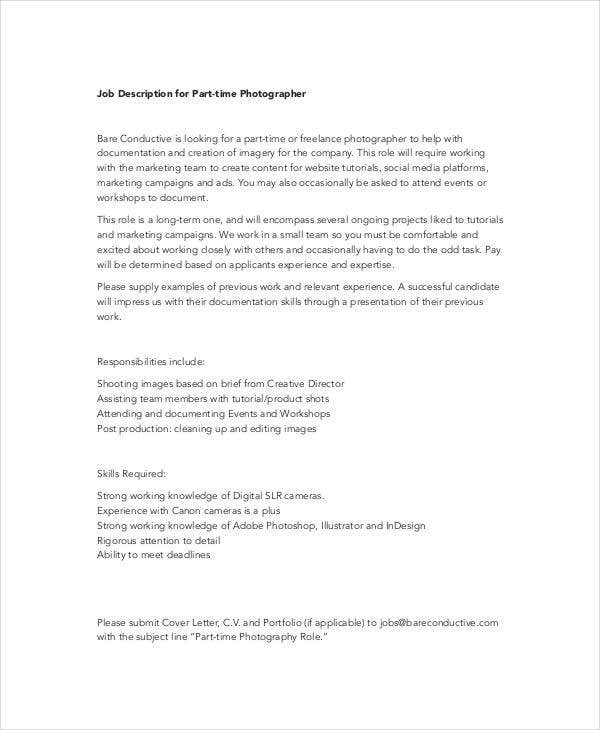 This communication photographer job description helps you highlight the key skills, eligibility conditions, and job responsibilities of the candidate effectively. You can thus attract qualified candidates for the screening test. Want to hire a resident photographer? Here is your destination job description sample available for download that you can utilize to get an idea of creating a professional and attractive job description to describe the position accurately. 1. 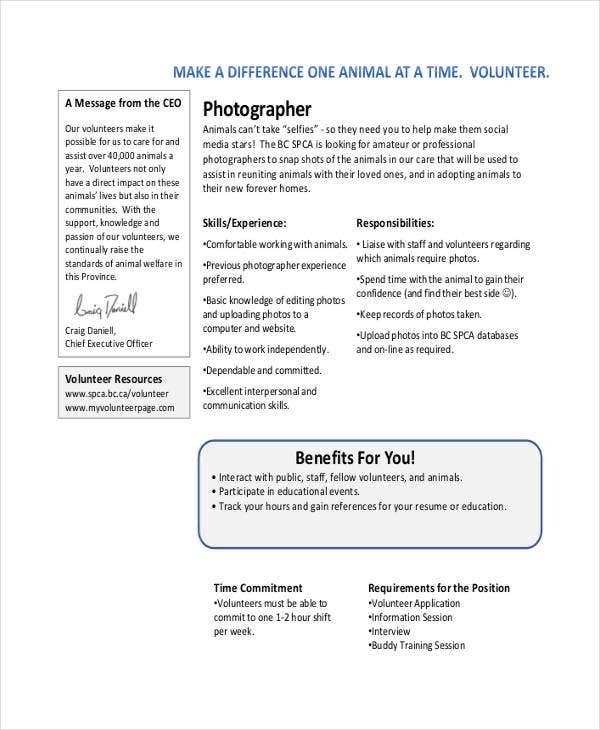 How to Use a Photographer Job Description Template? 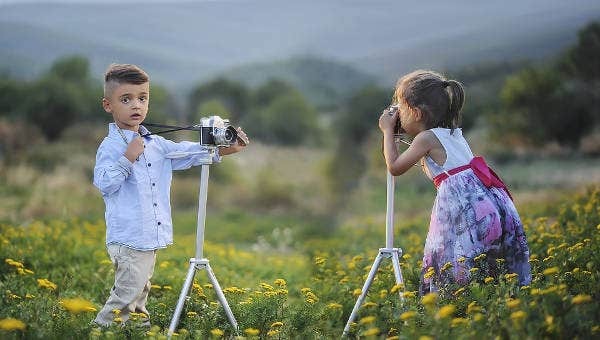 Photography is a field of art and requires great presentation knowledge as well as the capability of utilizing the photography equipment effectively. 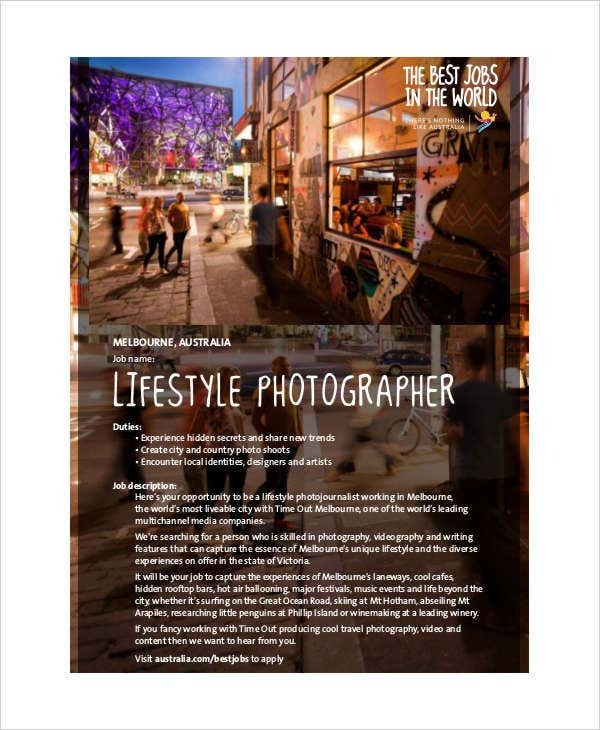 If you are searching for a right candidate for your photography needs, you might have to write a suitable job description that highlights the key skills required for the position. A job description also reflects the class of a company through the words, hence, as a recruiter, you might have to maintain the elegance, standard, and discipline very well. 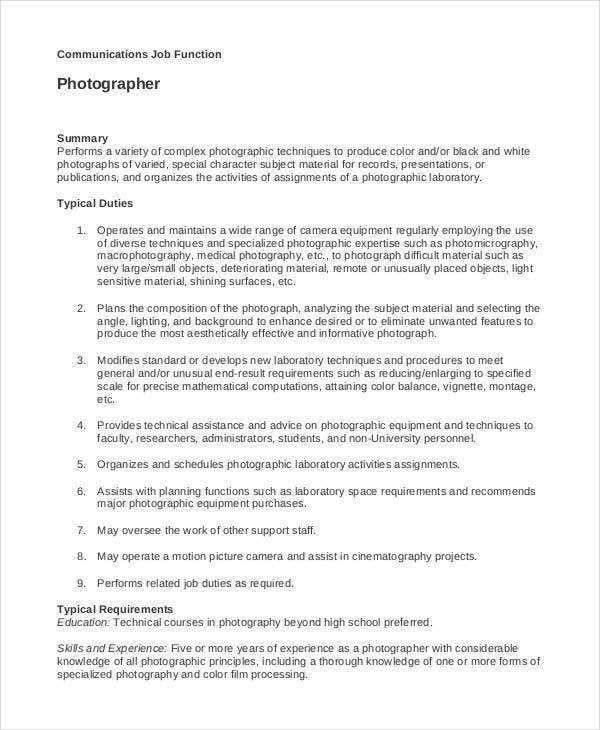 The various photography job description templates help you create a perfect job description easily. You can simply get these downloaded. These are available in Word or PDF format and thus, you may customize them as per your business preferences. You will definitely have in mind certain job description of the photographer you are looking for. So you need to find out a job description template in doc format that resembles the one you have in mind. 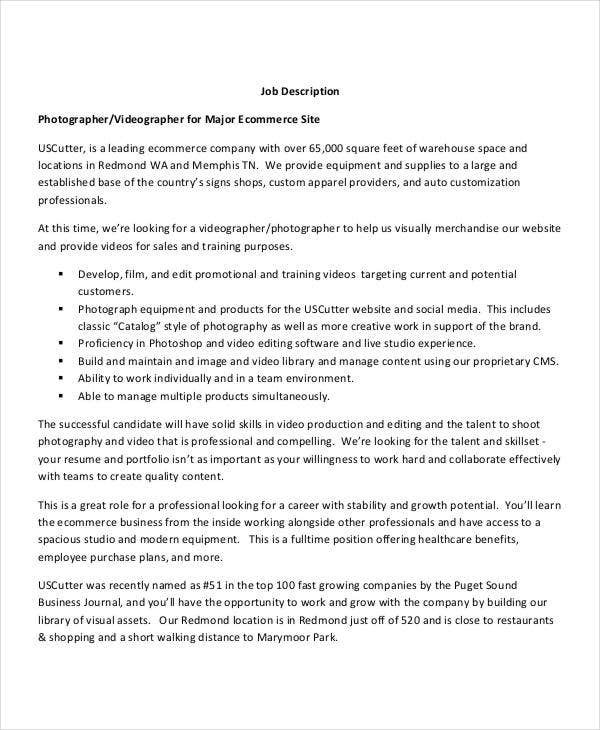 Find highly qualified candidates for your e-commerce photographer job position by creating a professional and appealing job description of the position with this job description sample. Get this downloaded and customize it as per your preferences. 2. 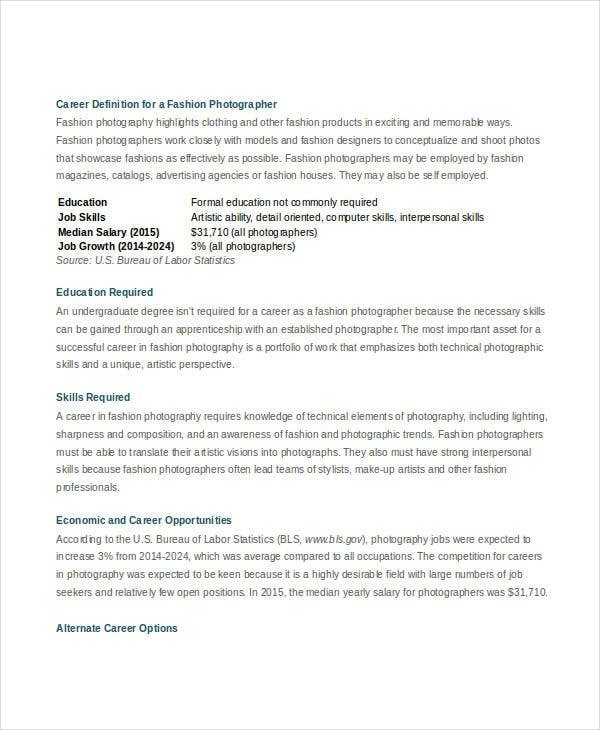 What are the Benefits of the Photography Job Description Templates? There are numerous benefits of the photography job description templates that you might not be aware of. Here are a few of them. 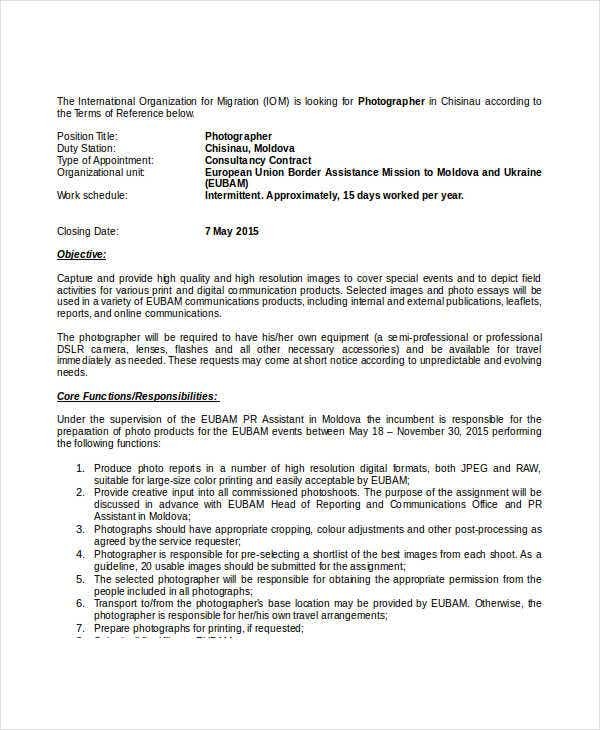 All the photography job description templates have been designed by the experts who have an extensive knowledge in every kind of job opportunity in the photography field. They understand the scope of work and skills required for the job. Hence, these can be utilized confidently for inviting photography candidates. All these templates are 100% customizable, it means you can edit any part of it that you feel necessary. These come in pre-defined layouts and in print ready format. Hence, once you ensure that all the things and layout are as per your requirements, you can get these printed easily. In addition to photography, you can find countless job descriptions for any job position online, ranging from office manager job descriptions and projects manager job descriptions to office assistant job descriptions and administrative staff job descriptions. You can get a desired one downloaded for your recruitment needs. With these templates, you can make sure that you are inviting only the right candidates for the vacant photographer positions.